Gauges offer rugged construction enhanced by the Fearless vibration and pulsation resistant Dampened Movement. Built-in-Over-Range and Under Range protection, reinforced sector improves accuracy over life of gauge. Removeable Stainless Steel restrictor. Industrial Low Pressure Gauges Capsule Type Pressure Gauges are applied to measure low and extremely low, positive or negative pressure. Pressure Gauges AISI 304 Stainless Steel Case Gauges, available either Filled or Dry. Stainless Steel Case Contractor Gauges Stainless Steel Case Contractor gauges. An economical solution to a wide range of applications for pressure measurement equipment. Provide maximum safety, and resist the most severe operating conditions. 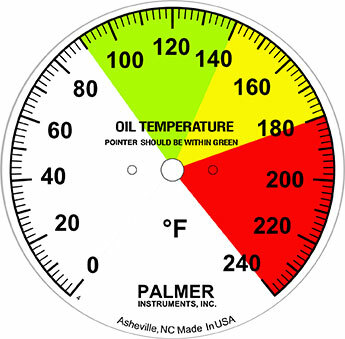 A solid barrier between the sensing element and dial front, welded to the socket, give this gauge exceptional stregnth. industrial applications, with no need to change batteries. Pressure Gauges One piece die cast Brass Plated case and Brass Socket with a Phosphorus Bronze Bourdon Tube. Needle Valves for use with Pressure Gauges Palmer Needle Valves offer economical equipment and quality solutions for the most demanding applications. Ball Valves for use with Pressure Gauges Palmer Ball Valves offer economical equipment and quality solutions for the demanding applications. Snubbers for Pressure Gauges Palmer Piston Type Snubbers resist clogging and are self-cleaning. Syphons for Pressure Gauges Steam Syphons, also called "pigtail" syphons should be given serious consideration whenever steam pressure measurement is required.